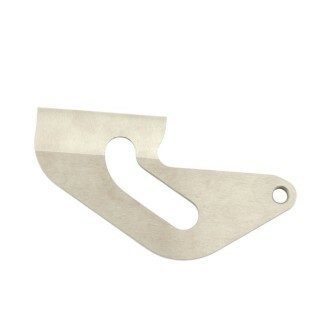 RIDGID Model PCB-1375 Replacement Blade For PC-1375 ML Cutter. 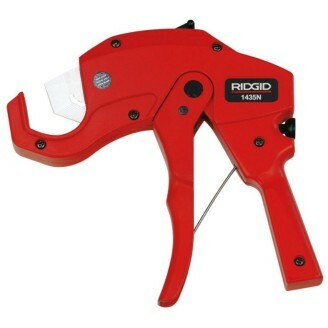 RIDGID RC-1625 Ratchet Action Plastic Pipe & Tubing Cutter (3-42mm) Ergonomic grips on bottom handle are spaced at 1⁄2" increments to act as a quick pipe measuring scale. 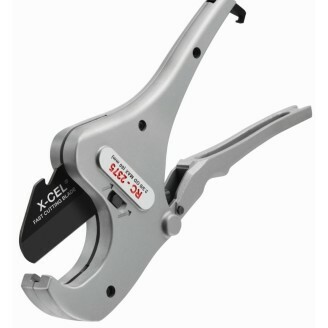 X-CEL® quick-change blade. “Burr-less" cutting operation provides a square cut. Intended materials: Plastic (PVC, CPVC, PP, PEX, PE, Rubber hose) and Multilayer tubing. 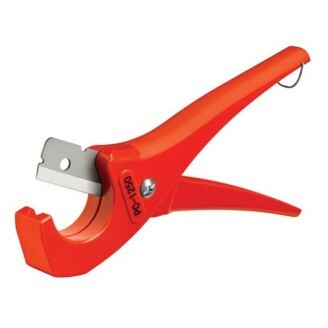 RIDGID RC-2375 Ratchet Action Pipe & Tubing Cutter (12-63mm) Ergonomic grips on bottom handle are spaced at 1⁄2" increments to act as a quick pipe measuring scale. 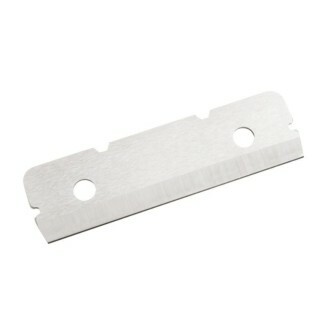 X-CEL® quick-change blade. “Burr-less" cutting operation provides a square cut. Intended materials: Plastic (PVC, CPVC, PP, PEX, PE, Rubber hose) and Multilayer tubing. 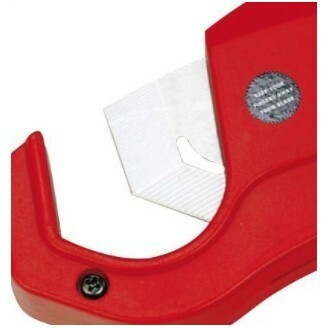 RIDGID Model 1435N-B Replacement Blade for 1435N Ratchet Cutter. 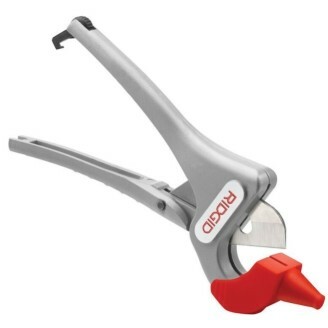 RIDGID Model 1442N Plastic Pipe Cutter. 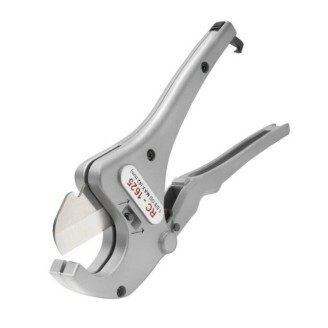 Rugged precision shears for fast, effortless ratchet cutting of all types of plastic tube and pipe.